Successfully Added XiaoCai X9 4.5 Inch Android Phone - 1.2GHz Quad Core CPU, QHD OGS Display Screen, Ultra Thin to your Shopping Cart. 4.5 Inch Android Phone features a super-fast 1.2GHz Quad Core CPU as well as a QHD OGS Display Screen, which is all encased in an Ultra Thin body making it powerful and attractive. Sleek, fast and powerful, the phone known as Xiaocai X9 is the Ferrari of the phone industry that Chinavasion has at a great wholesale price. The sleek part comes from the appearance of this phone as it has an ultra slim 7mm body that still manages to contain all the high specifications that the Xiaocai X9 has. The 4.5 inch screen offers a convenient sized but still high appealing when to look at as it has a quality high definition touch screen that uses OGS (One Glass Solution) technology to make navigation feel like an absolute joy. Fast and powerful is a combination of the quad core 1.2GHz processor and the 1GB of RAM, which the Xiaocai X9 contains. The CPU can easily deal with running multiple applications at the same time as well as playing movies and when you decide to play games as it has more cores to deal with the process than a dual or singular core phone. Coming with Android 4.2 pre-installed, the user will find that they have one of the best operating systems in the world today as there are many things they can personalize such as profiles, wallpaper, lay-out as well as being able to download applications from the Goggle Play store that houses more than 700,000 applications. 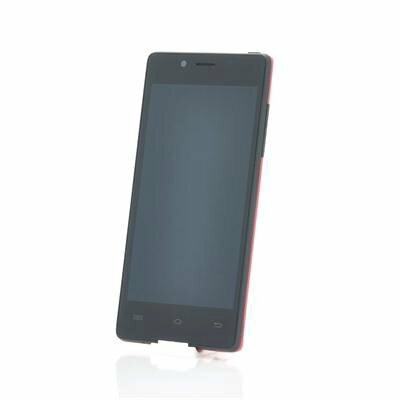 The Xiaocai X9 has 4GB of internal memory that can easily be expanded to up to 32GB with the addition of a micro SD card inserted into the allocated slot. To capture photos and record videos there is an 8 megapixel rear facing camera as well as a 5megapxiel front facing camera for taking photos of one’s self or for speaking to friends or family on Skype. Connect to the internet via WiFi or via 3G as this phone has both abilities as well as having multiple languages to choose from and compatible with many kinds of media formats. This phone is red carpet worthy due to its high specifications and ravishing appearance, the Xiaocai X9 is the phone to get people talking. 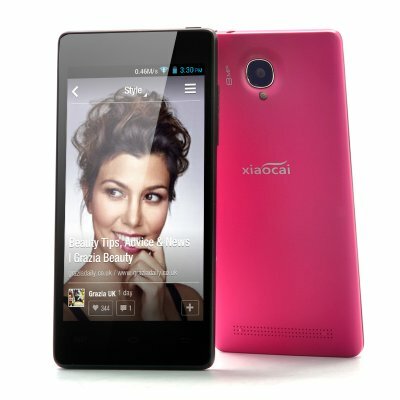 The XiaoCai X9 Android Phone is now in stock and ready for shipping within one working day with a mega 12 month warranty. Brought to you by the leader in wholesale electronics and Android Phones, Chinavasion.